In its 19th year of ministry, PERSONAL REVIVAL ASIA or PRASIA continues to use excellent, spiritually uplifting, life-changing music that inspires seekers to know God and impassions believers to reach the world for Christ. PRASIA extends its ministry to Filipinos worldwide. Through Philippine regional and international concert mission tours, the group brings its inspired live music performances and practical music ministry seminars. And now through FEBC Philippines’ internet radio, Pinoy Connection, PRASIA broadcasts God’s messages through its weekly program, On the Road with PRASIA. 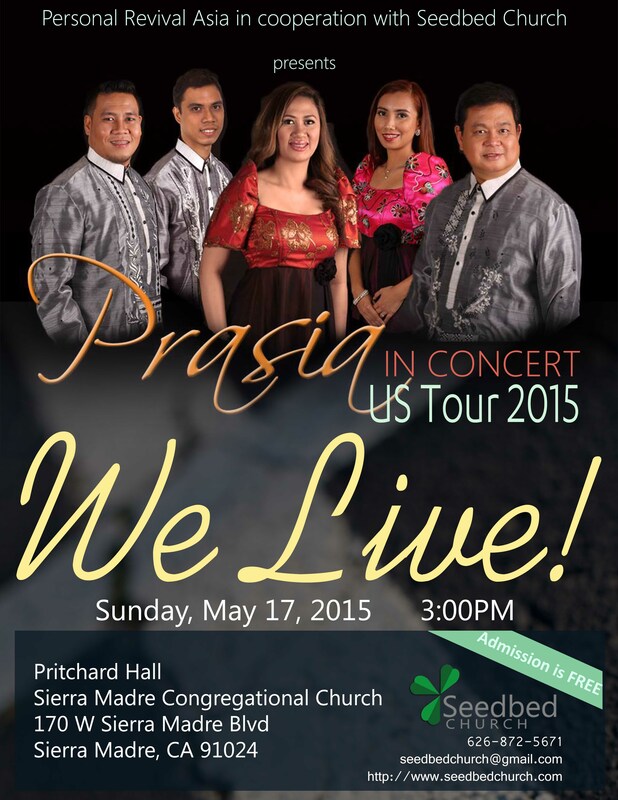 This year, PRASIA also introduces a new collection of Filipino worship songs through its ninth cd offering, We Live!